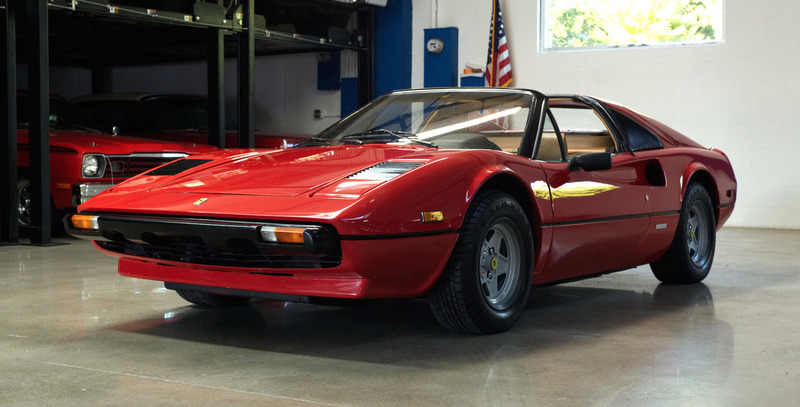 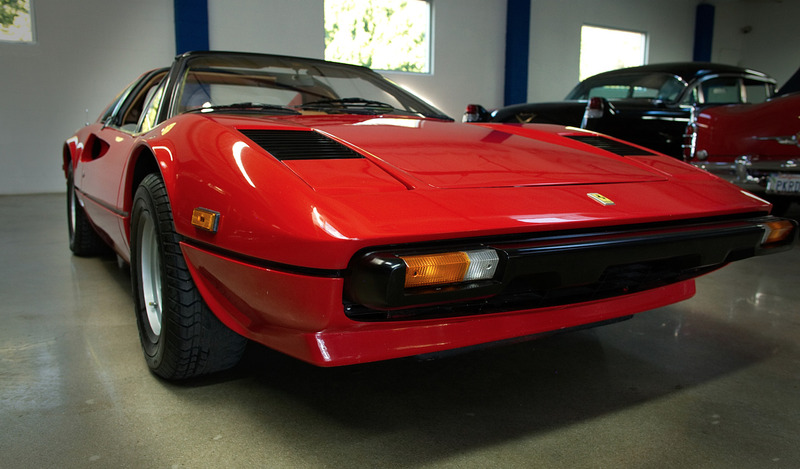 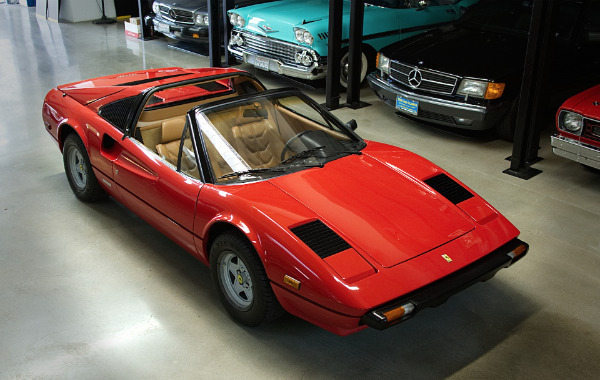 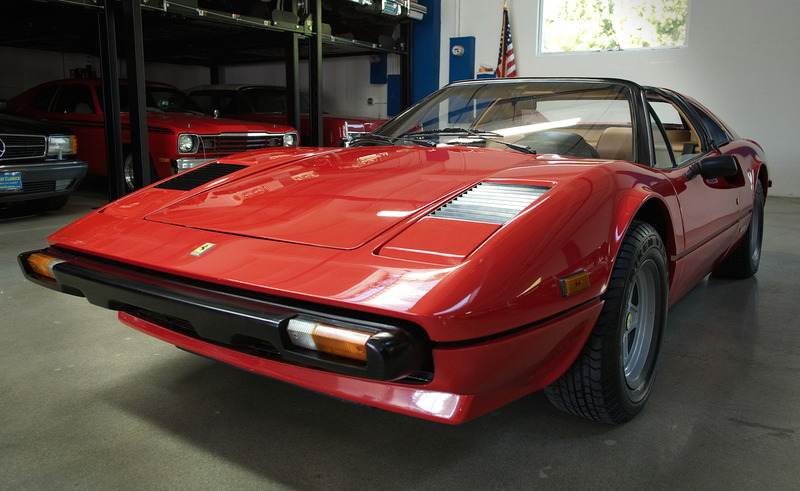 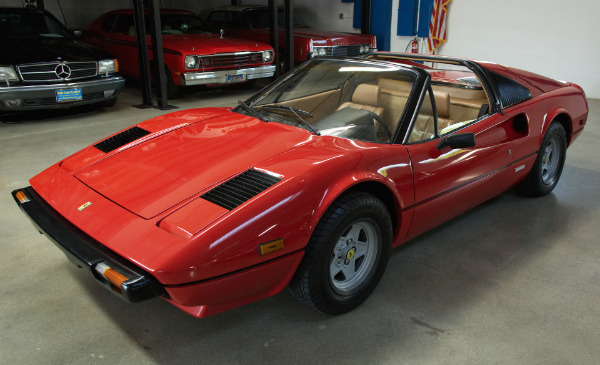 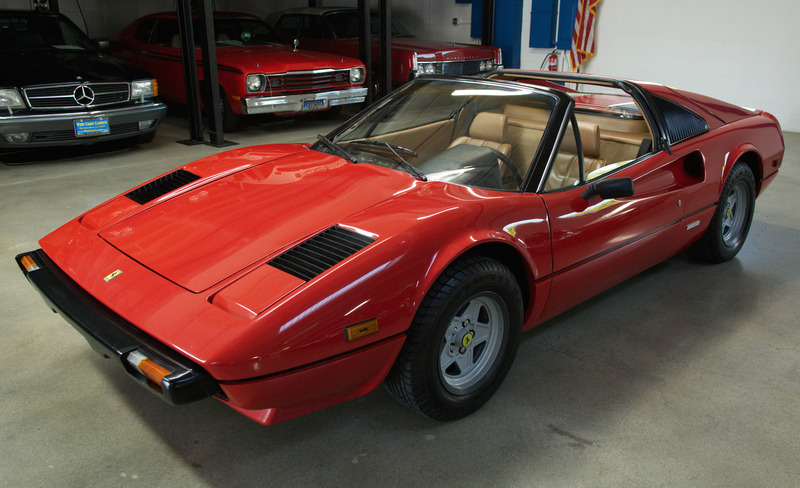 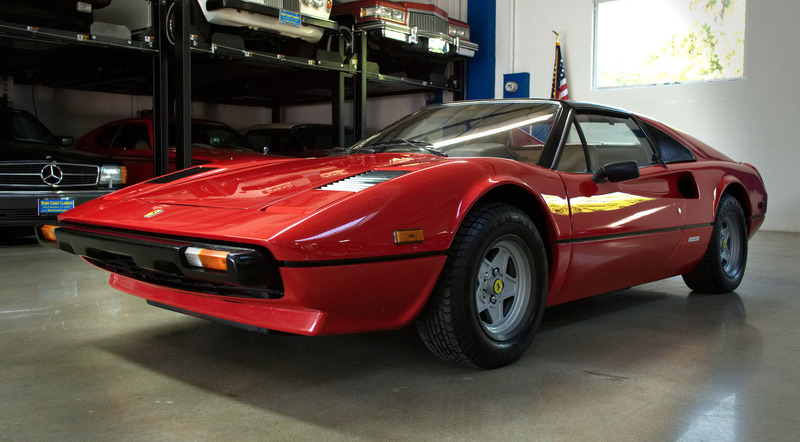 West Coast Classics are proud to present an exceptional condition example of this 1979 Ferrari 308 GTSi Spyder in the beautiful and highly desirable color combination of original factory 'Rossa Corsa' Ferrari red exterior paint with tan leather seats interior - 1 of only 3,219 models built during a 6 year build by Ferrari for these early carburetor models from 1975-80. 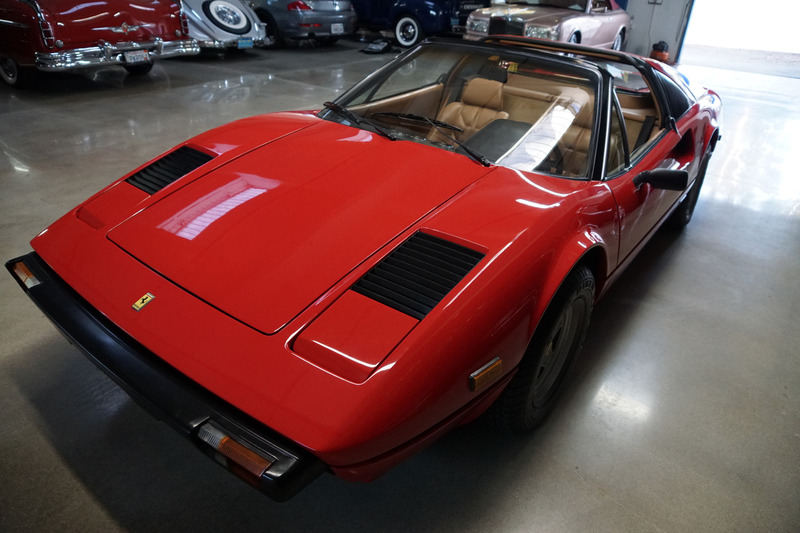 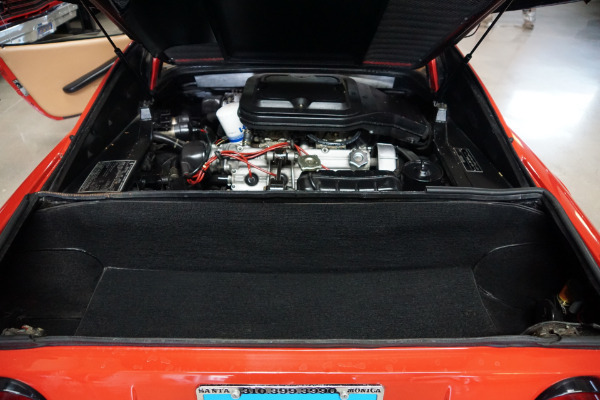 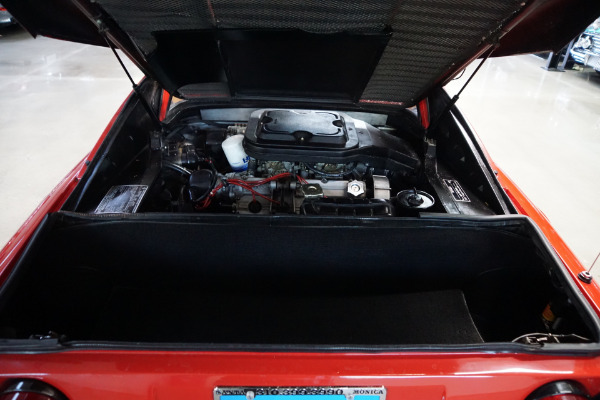 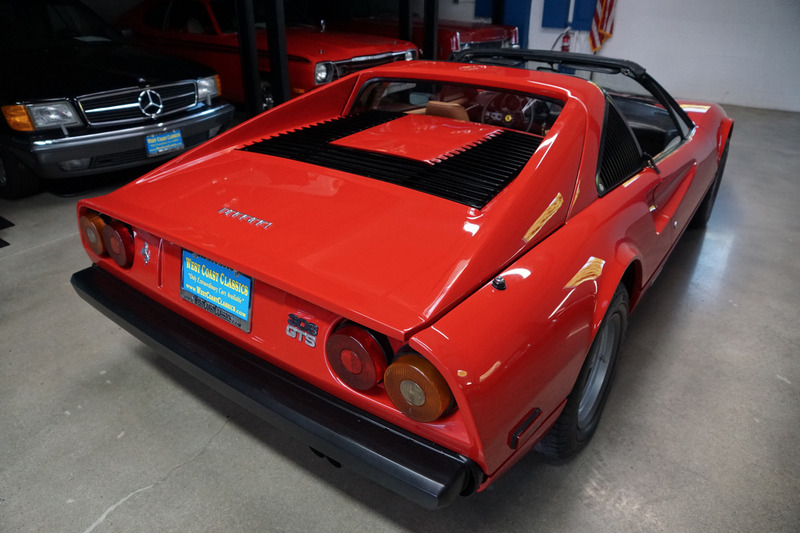 Most desirable 3.0L carbureted V8 engine with 4 Weber twin-choke downdraft carburetors matched to gated 5 spd manual trans, PS, power 4 wheel disc brakes, PW, tinted glass & removable Targa roof! 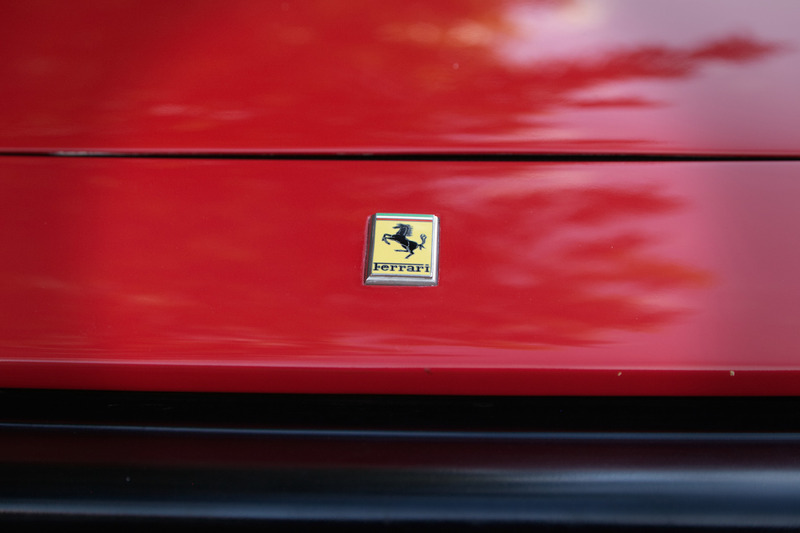 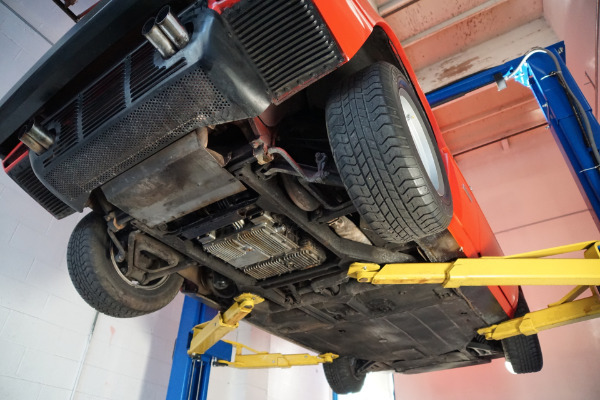 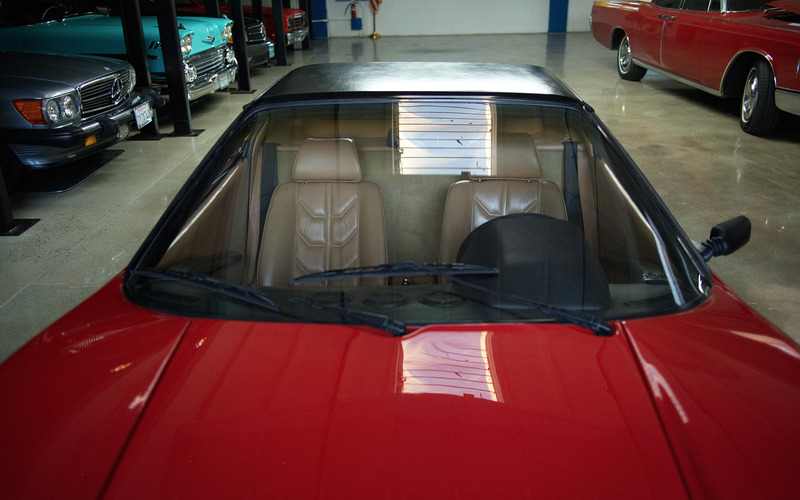 The original factory 'Rossa Corsa' paint is in good condition with only very minor imperfections noticable upon close inspection. 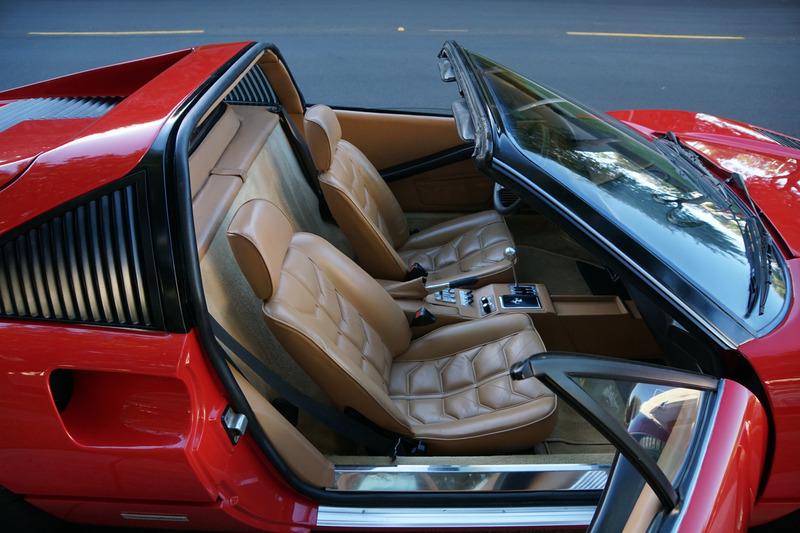 The tan leather interior is in very good condition also. We purchased the car as is without records or service history but the car drives well and must be driven and seen to be fully appreciated. 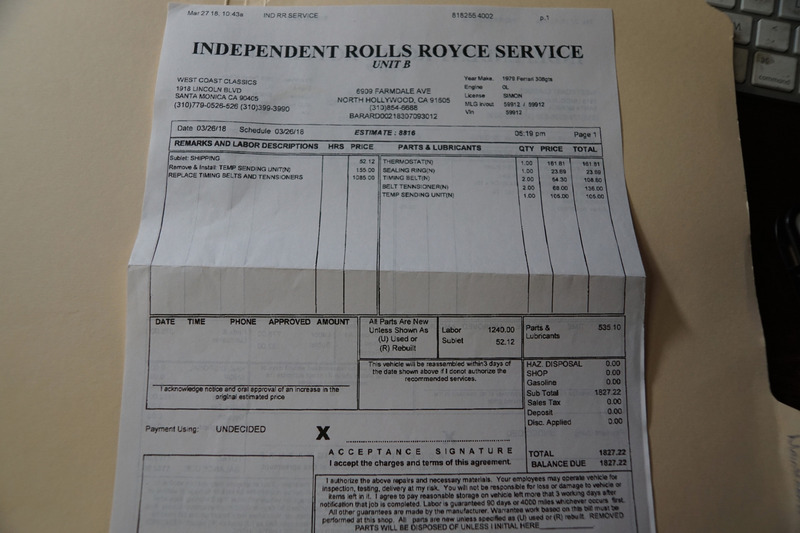 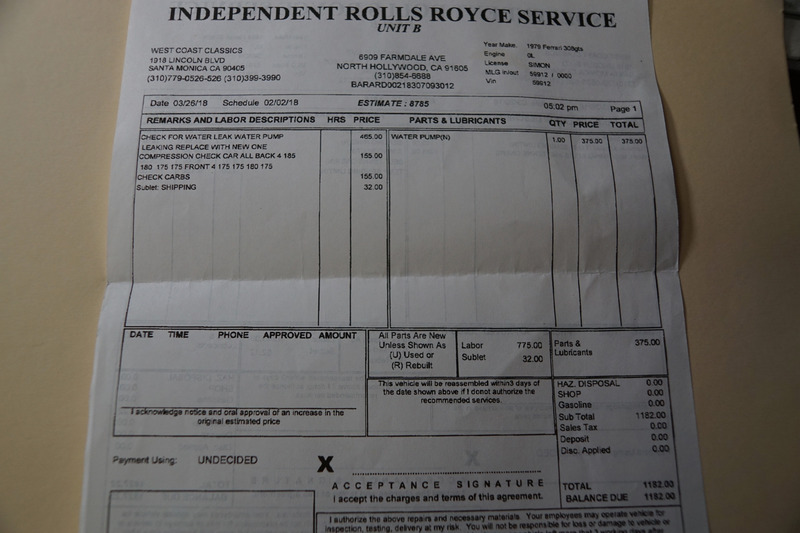 We recently serviced the car at a renown European independent specialist here in Los Angeles, CA who completed a compression check showing all 8 cylinders strong with psi readings between 175-185 and who replaced the water pump and installed 2 new timing belts and tensioners (see attached photos of service receipts below). 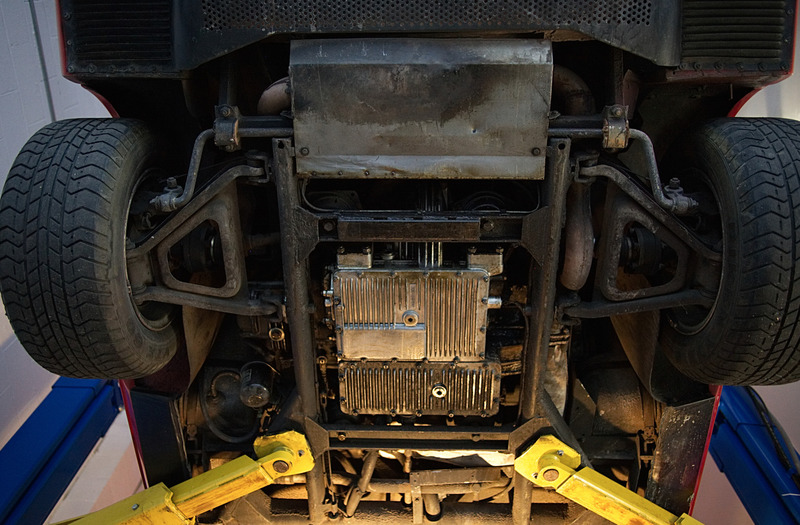 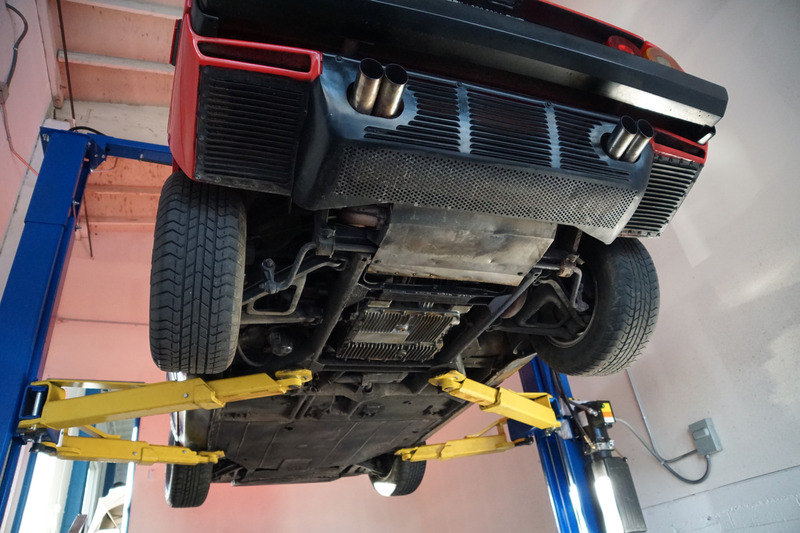 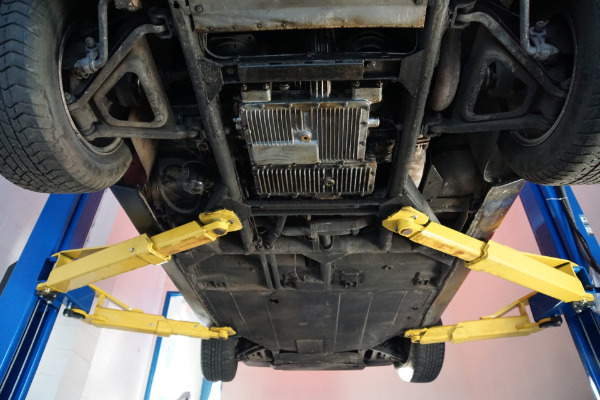 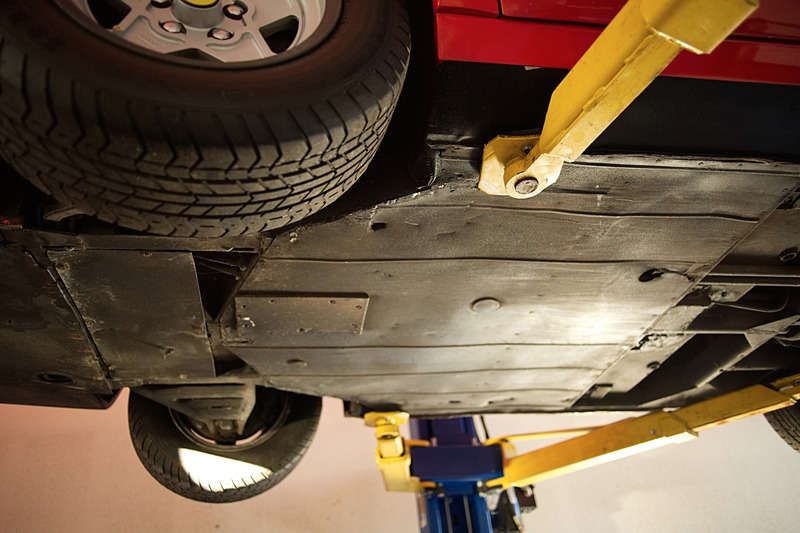 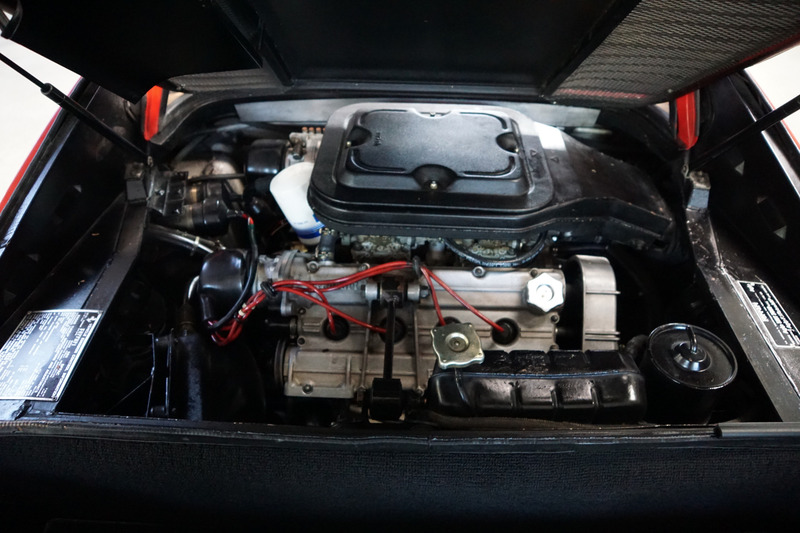 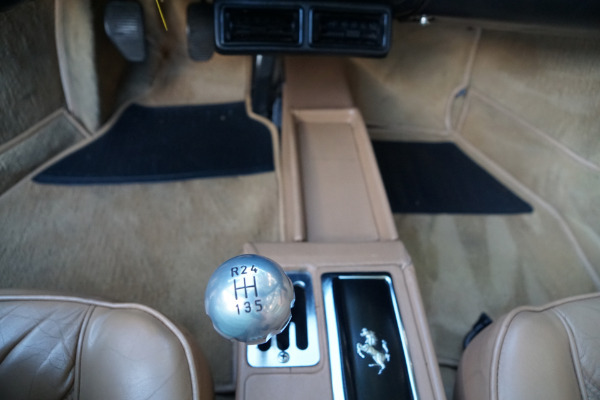 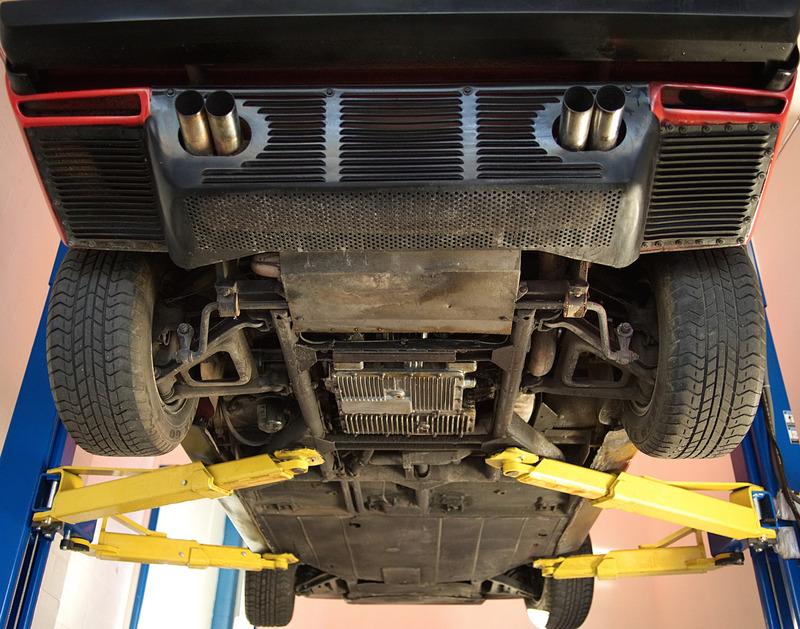 The engine is extremely strong and the clutch has a very smooth transmission shift. Inspections are welcomed and indeed encouraged as per our terms of sale. 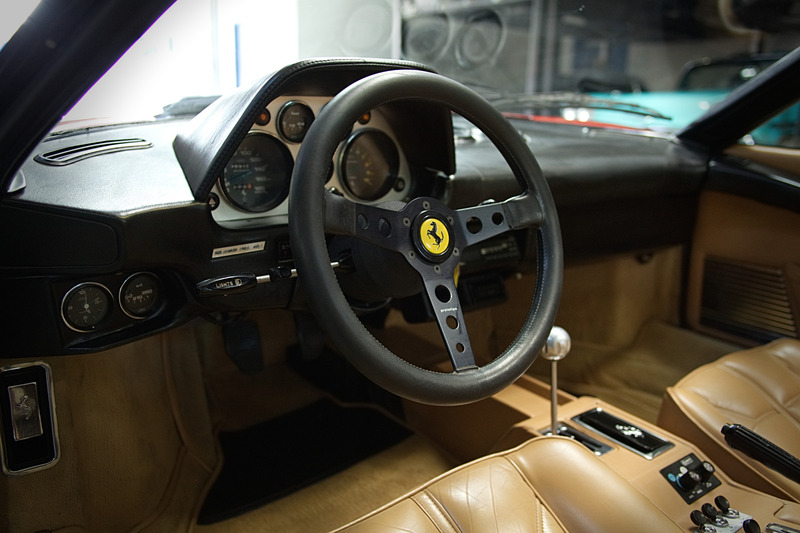 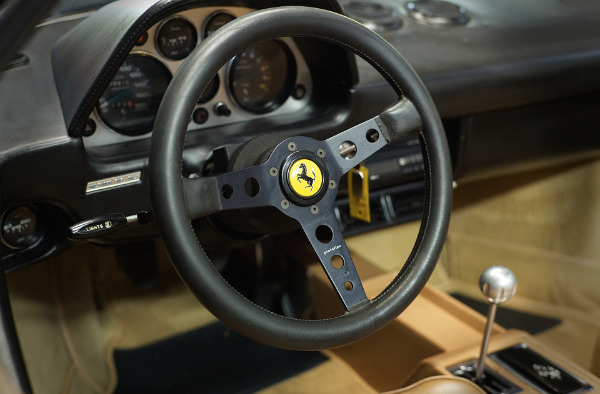 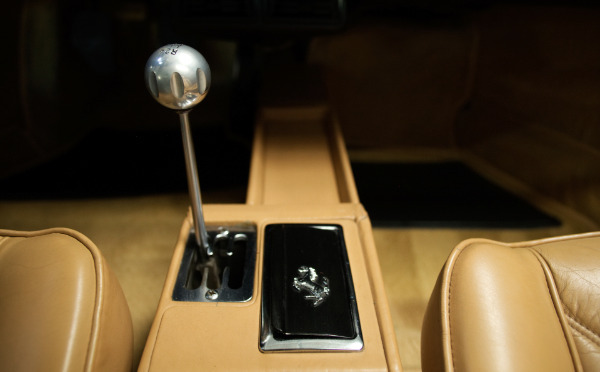 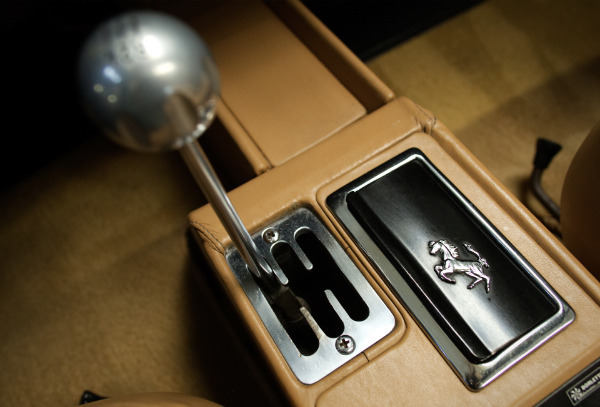 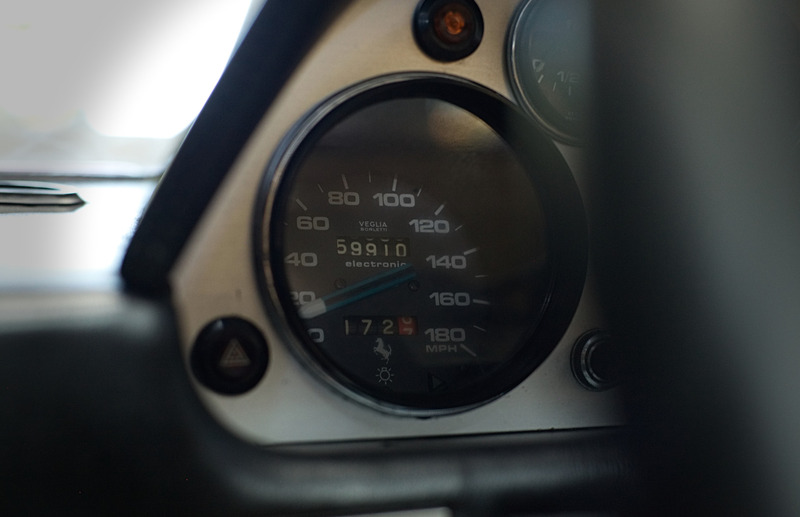 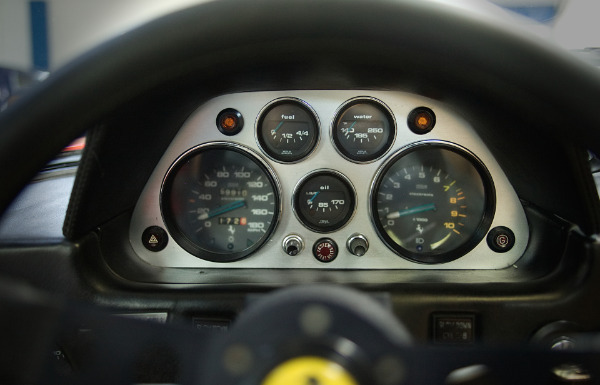 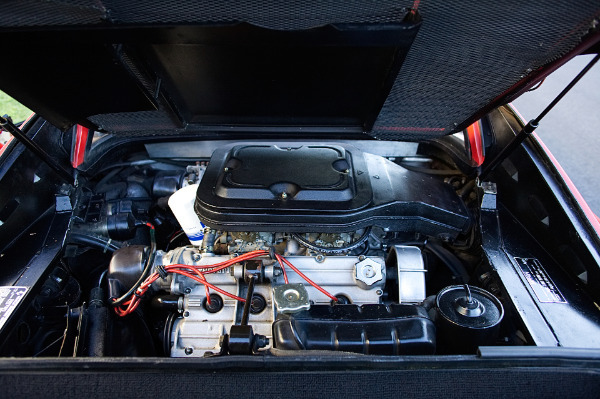 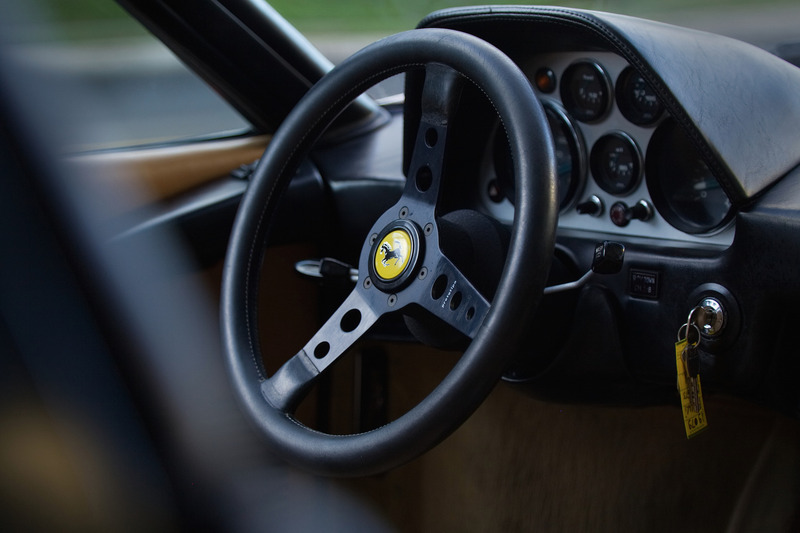 Beautiful mid V8 replacement for the V6 Dino 246GT and unveiled in Paris in 1975. 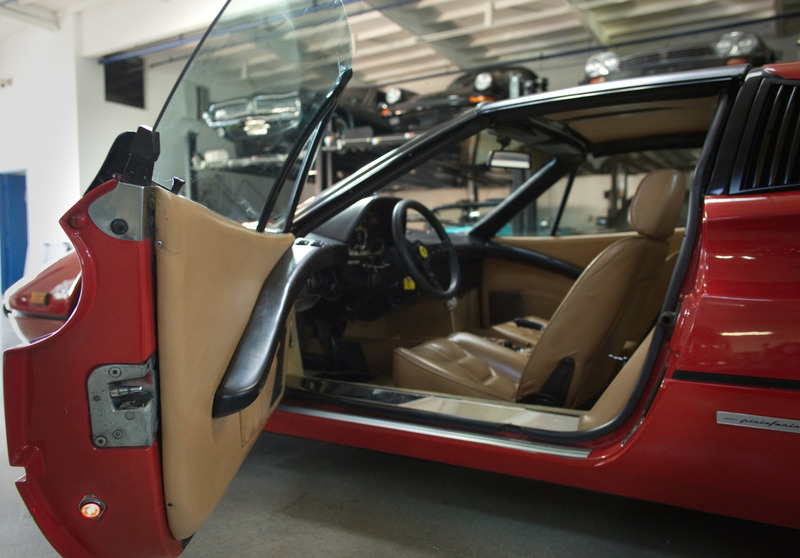 Chassis and drivetrain from the Dino/Ferrari 308GT4 2+2 of 1973. 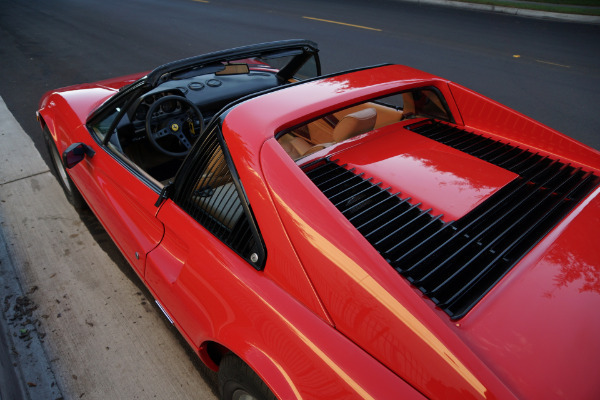 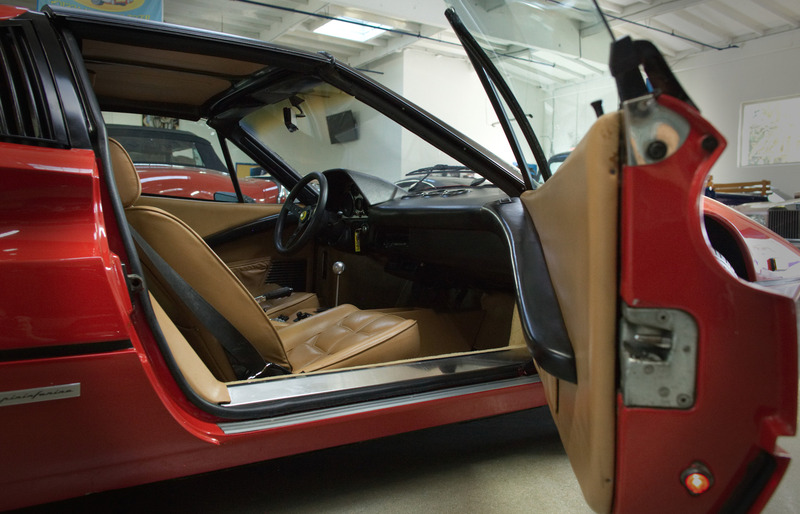 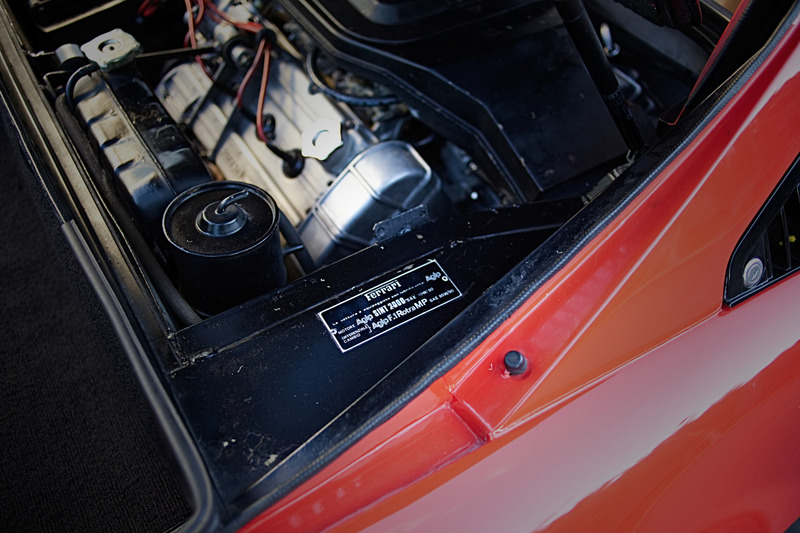 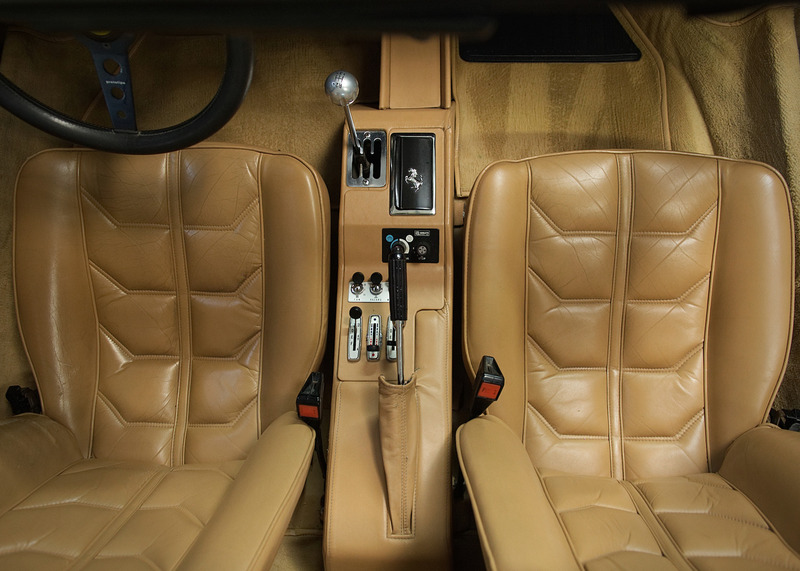 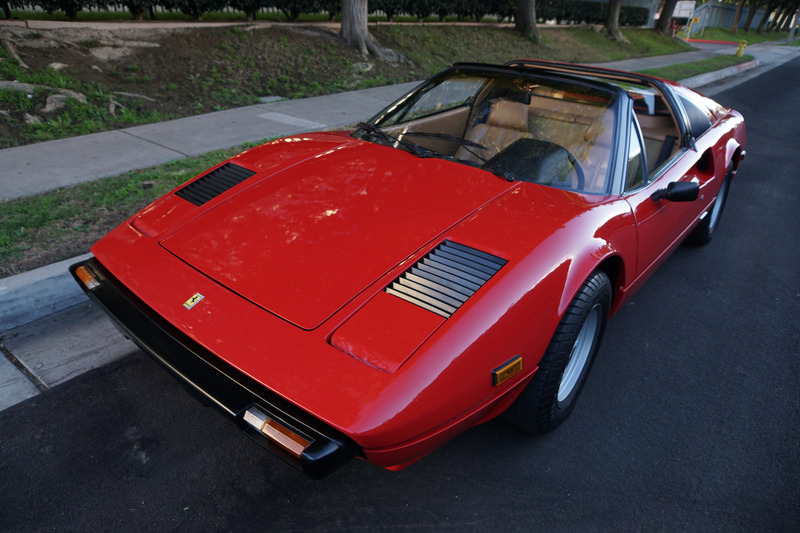 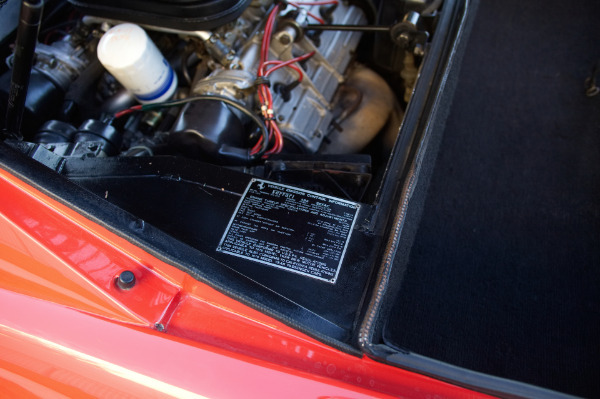 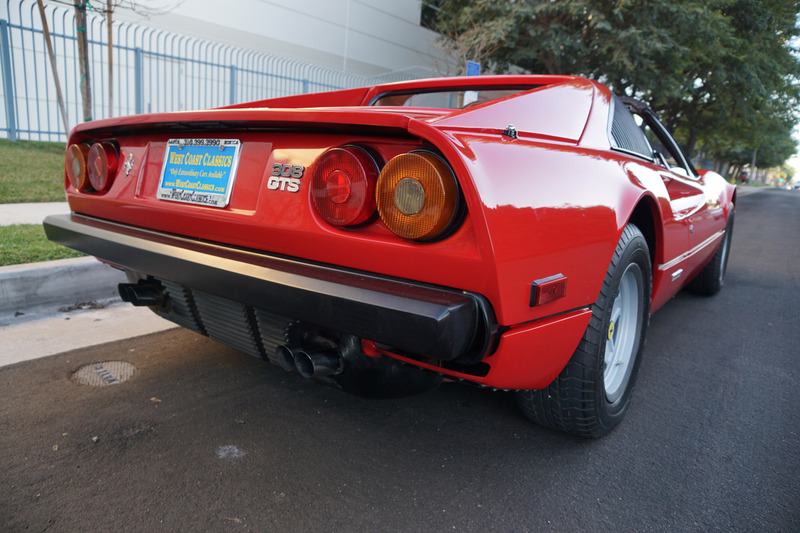 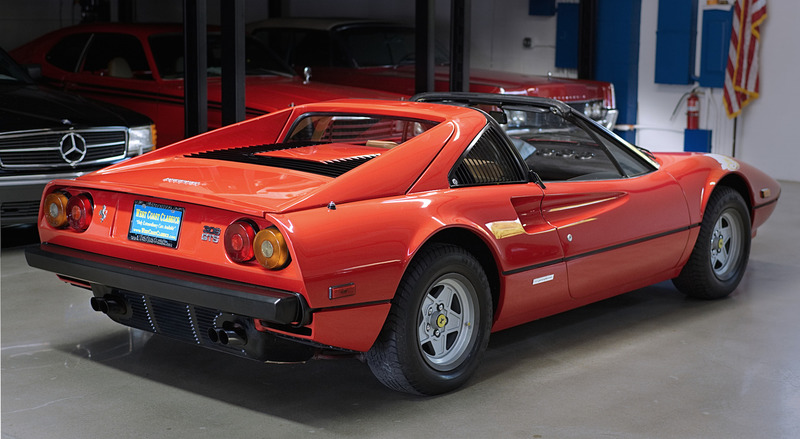 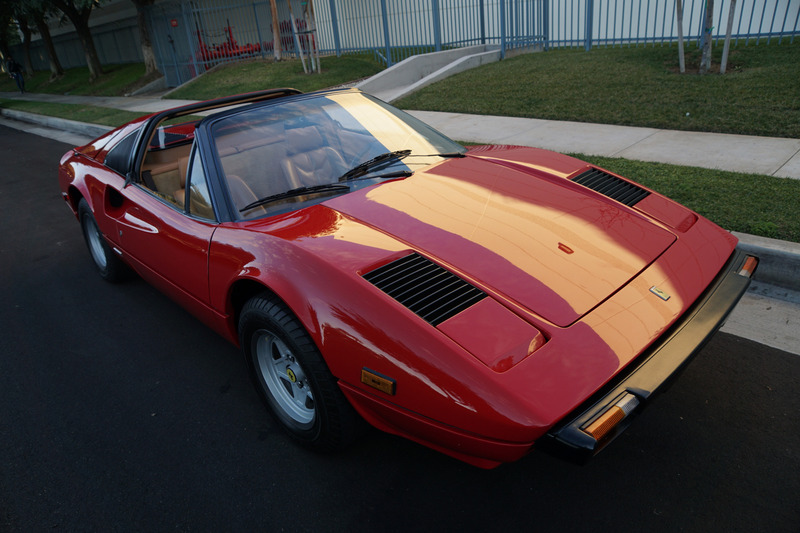 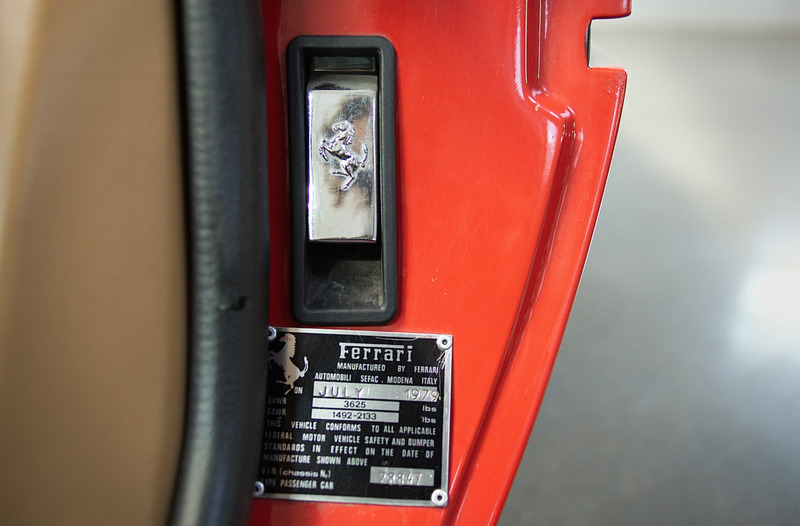 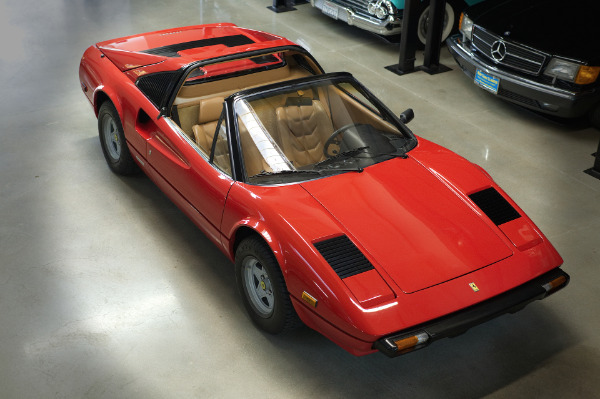 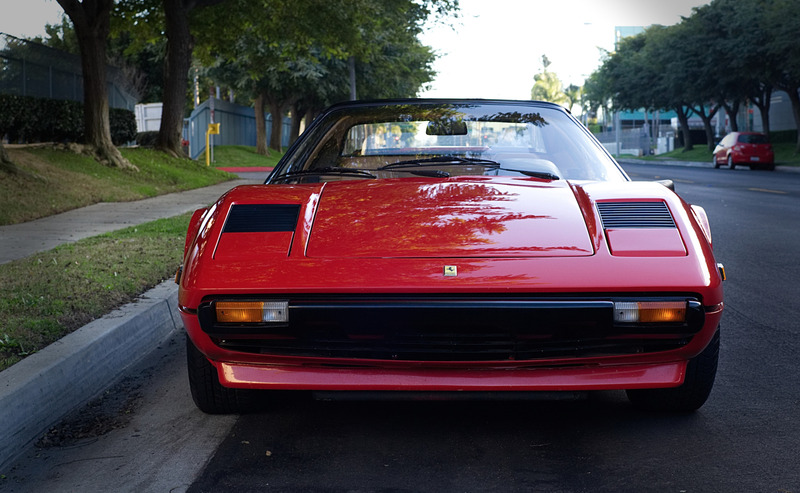 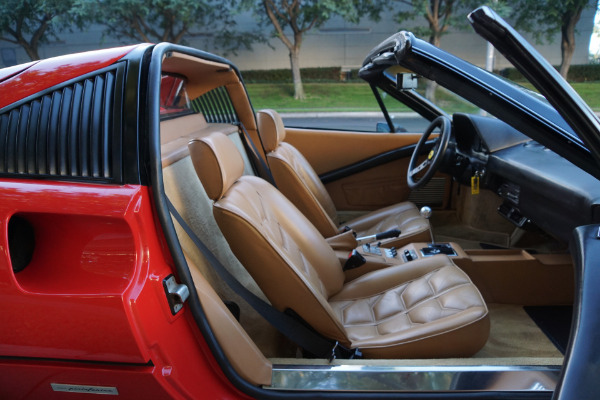 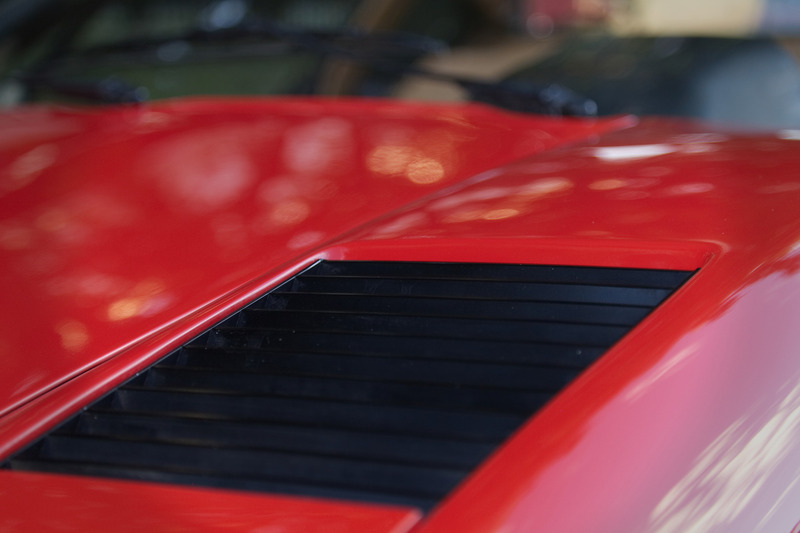 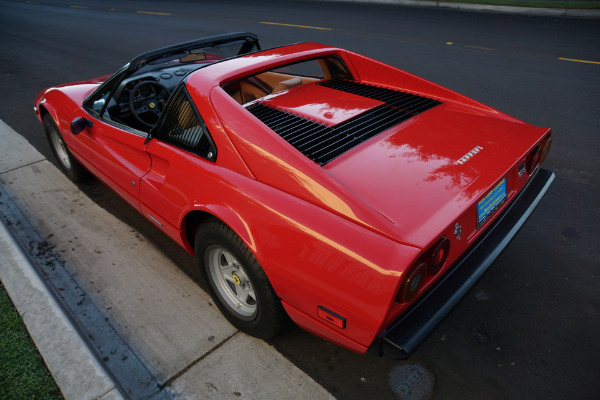 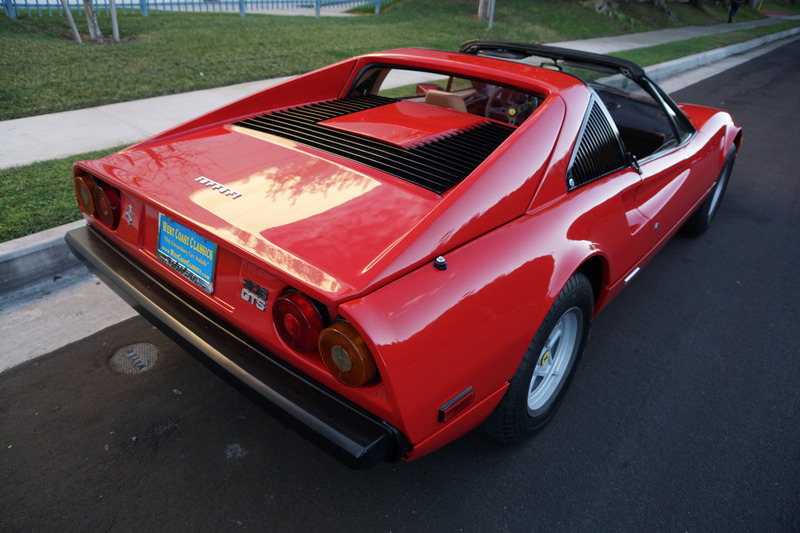 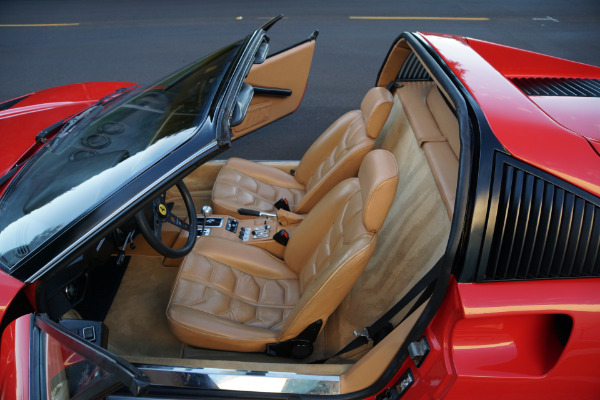 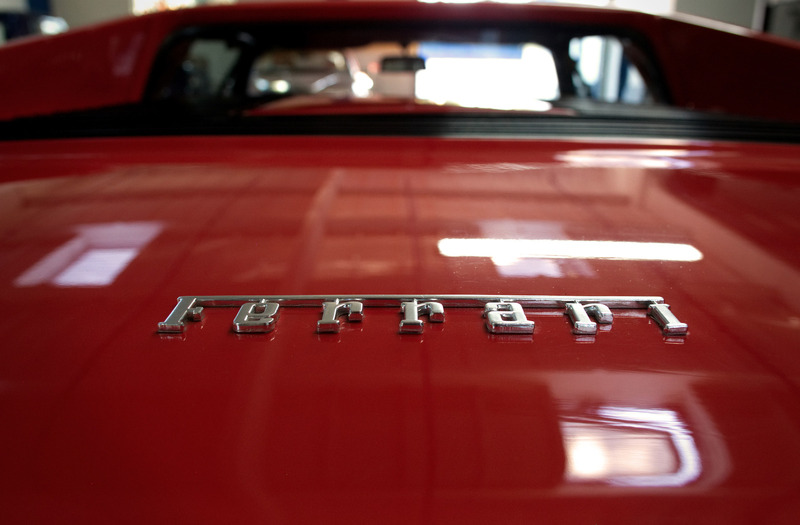 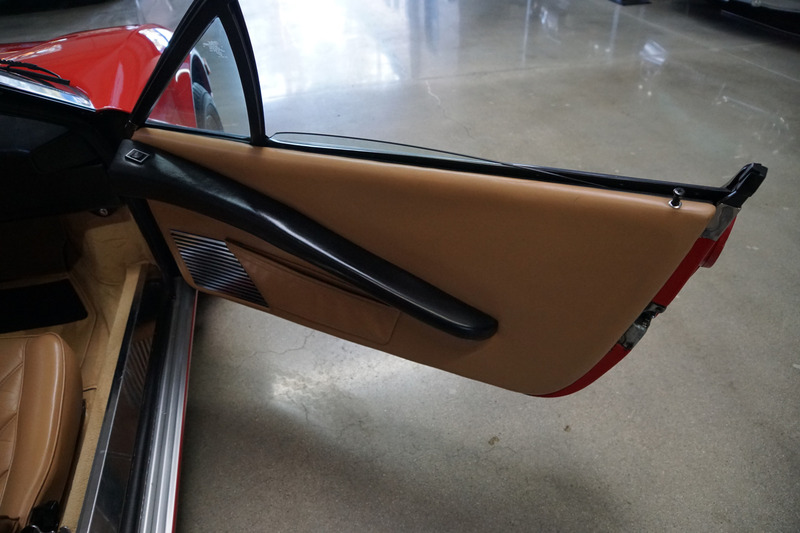 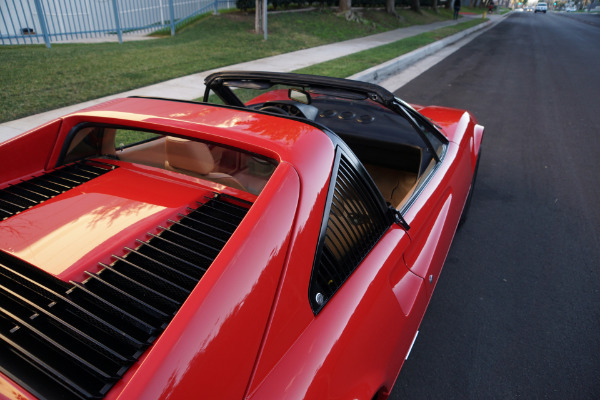 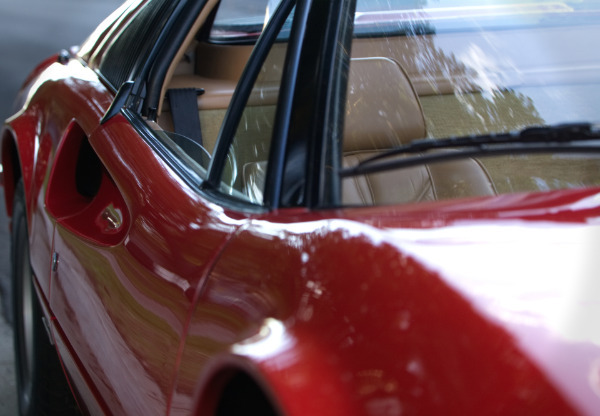 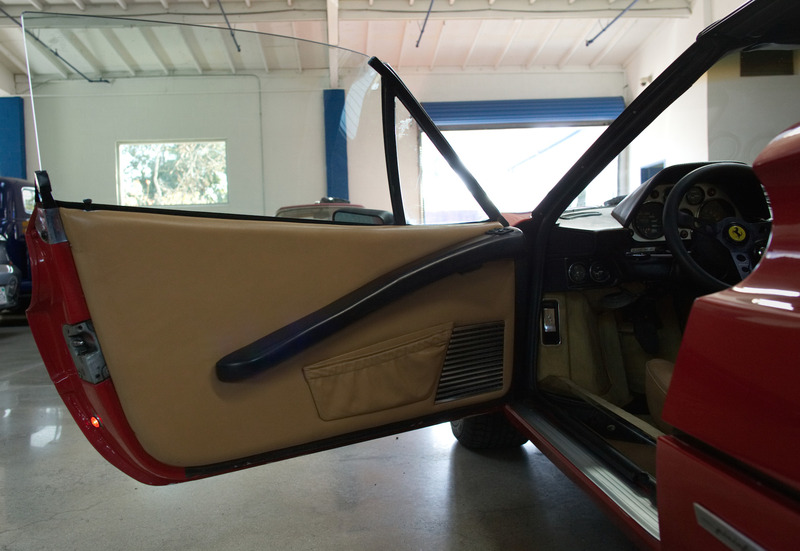 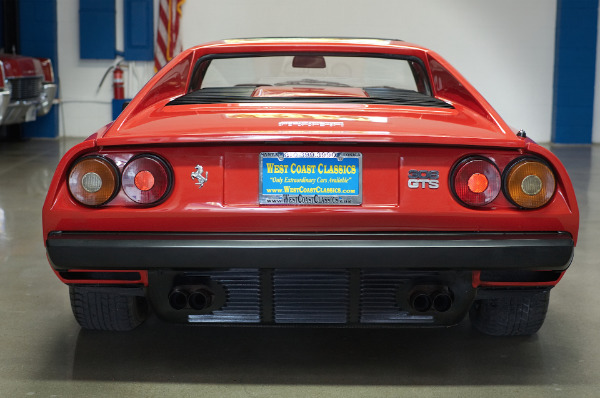 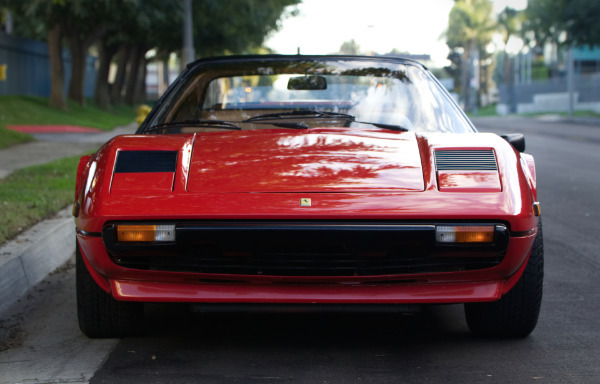 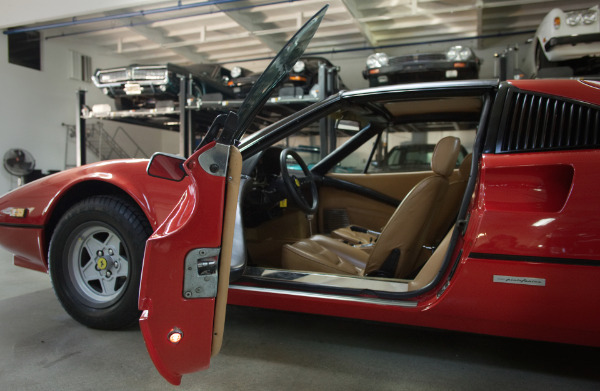 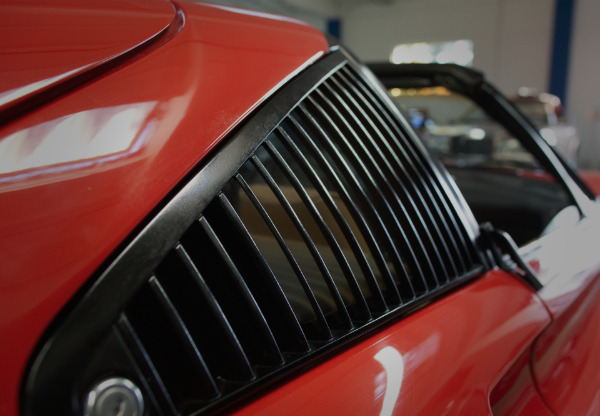 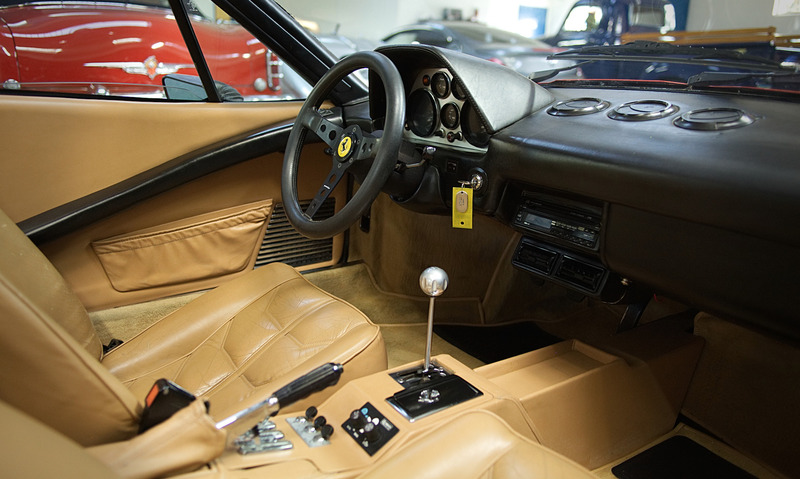 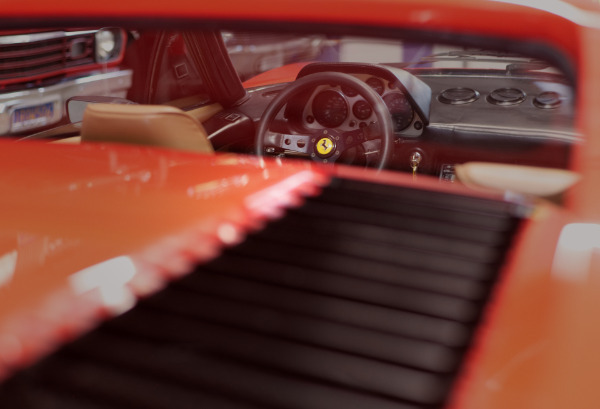 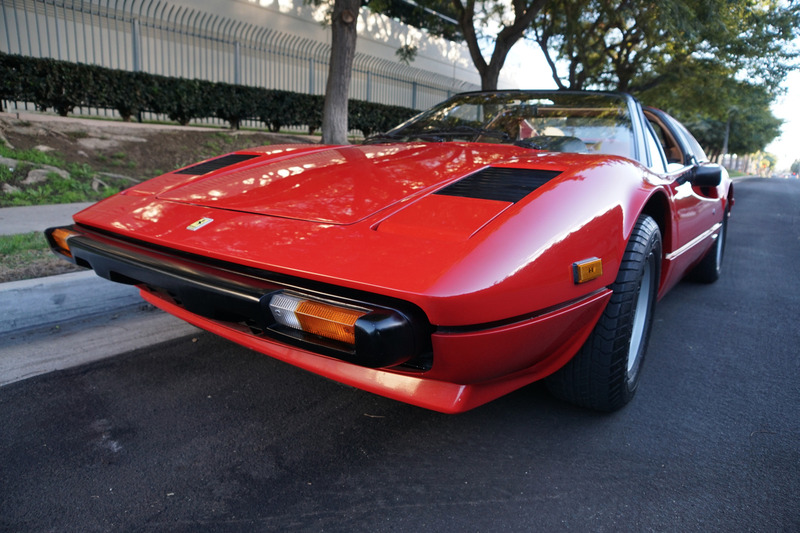 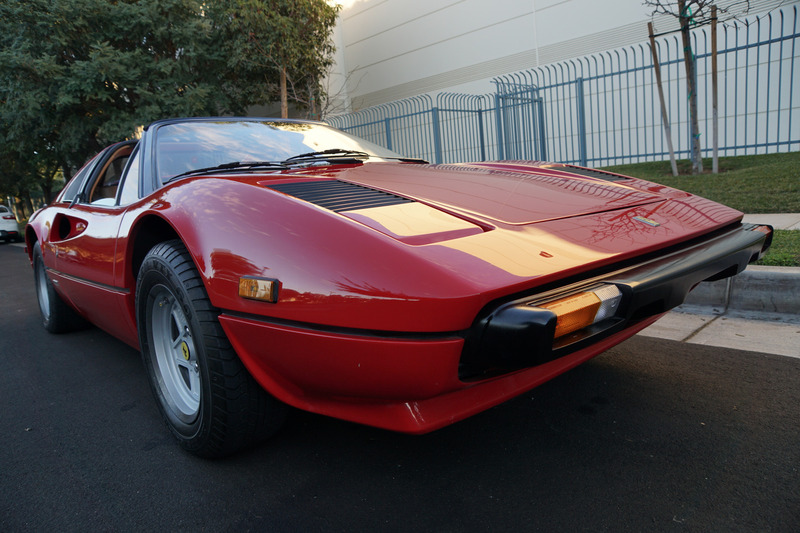 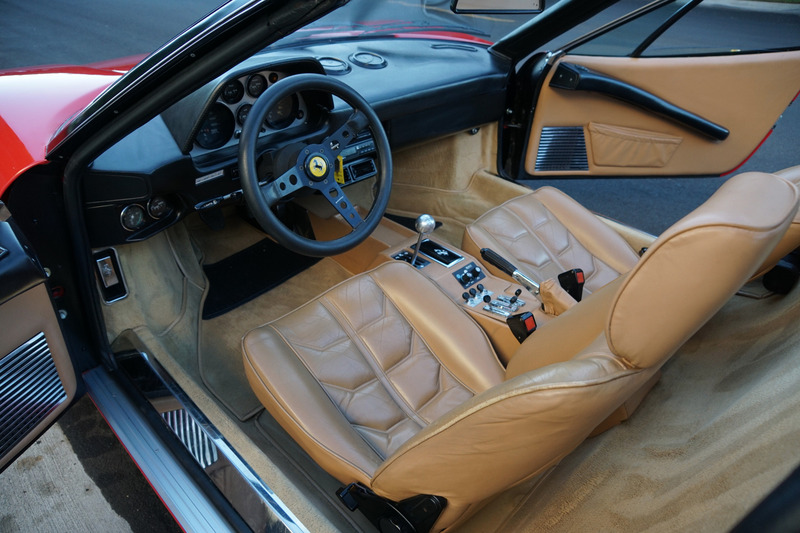 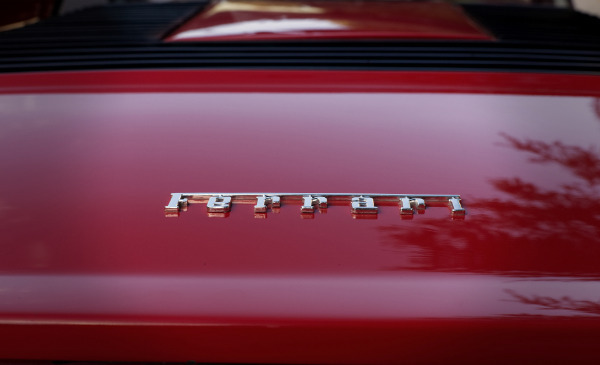 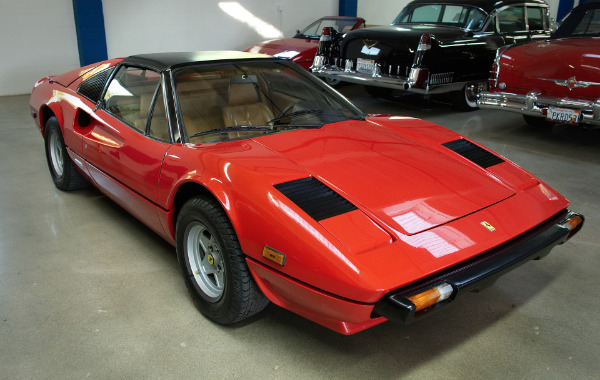 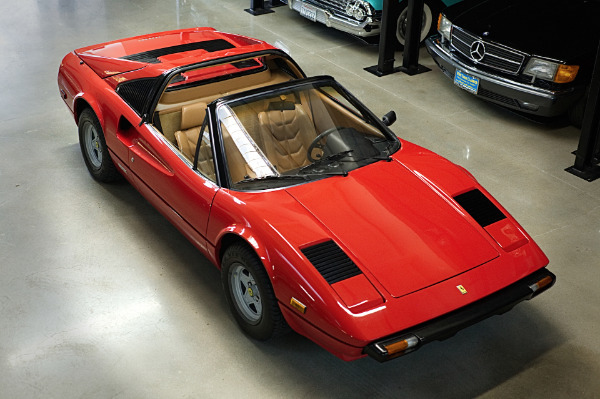 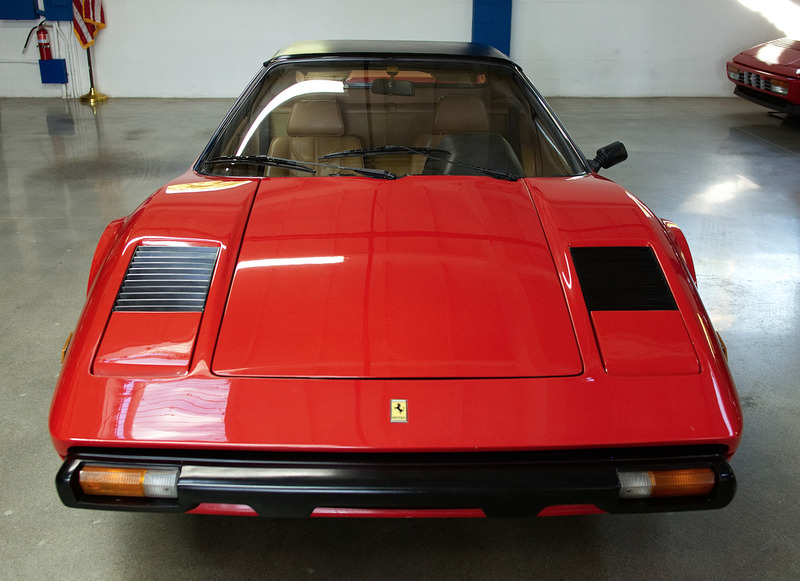 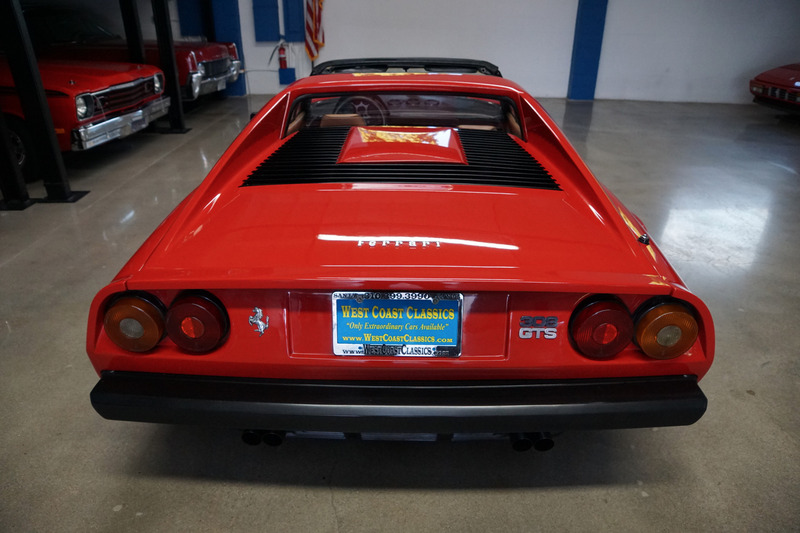 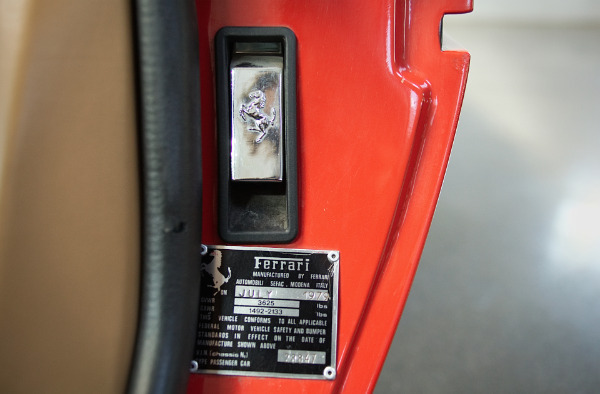 Initially only a closed coupe GTB was available until the Targa style GTS with louvered rear side windows and removable roof panel was added to in 1977. 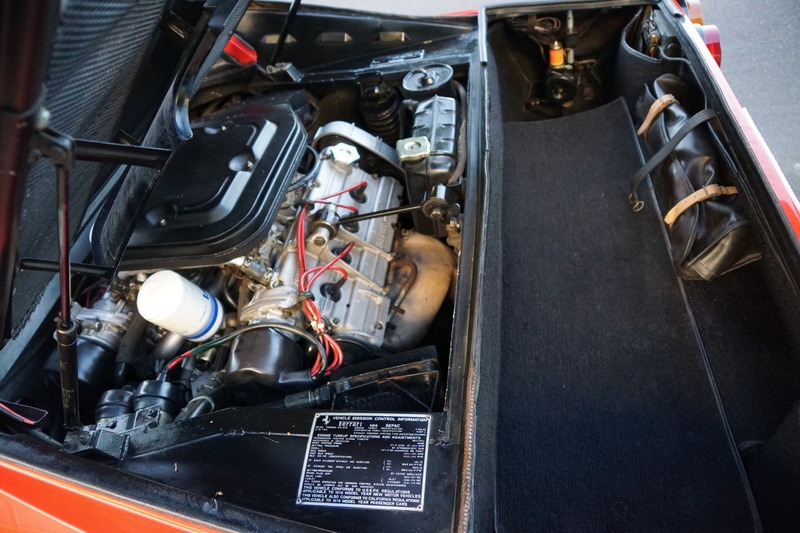 Both models had the original 4 Weber carbs replaced with Bosch K-Jetronic fuel injection in 1981 due to emissions requirements. 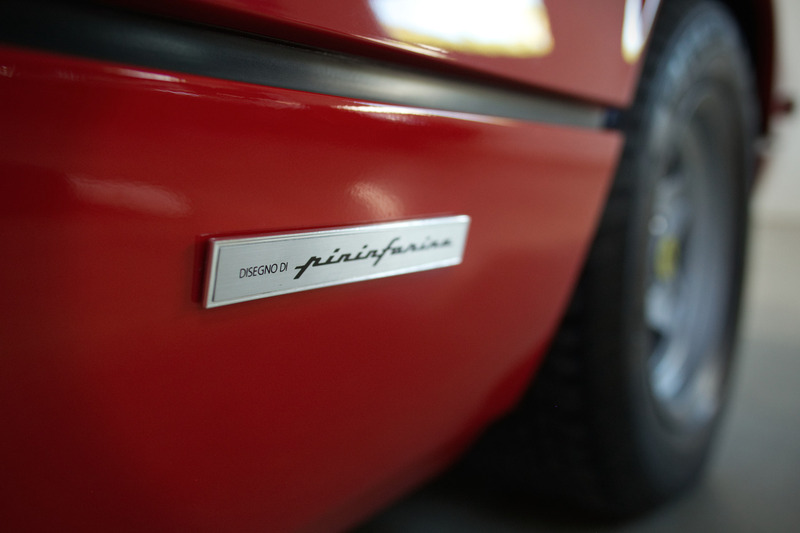 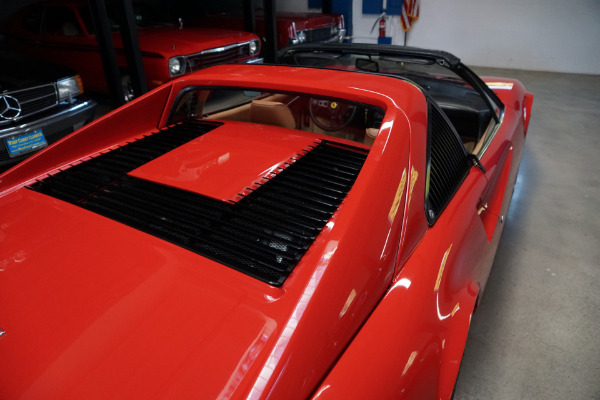 This is the legendary desirable 4 Weber gorgeous Pininfarina designed mid-engine Spyder convertible 2 door coupe bodystyle for the ultimate exhilirating driving experience with standard racing pattern gated 5 speed manual transmission in this most striking and classic of color combinations!